This is the third post in a four part series exploring how the story of Orson Scot Card’s book Pastwatch gets readers to play with and explore their own models of the past. The first post discussed the way the book’s claim that we are living in an altered history helps us approach the past as a strange and peculiar set of events. The second post explored the “real” past of the story’s workd, suggesting that this extensive counterfactual argument has significant value for supporting the kind of causal argumentation and appeals to evidence that historians make. 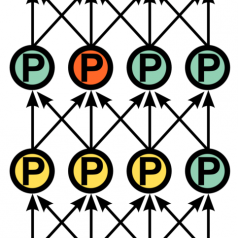 In this third post I describe how the characters in the book decide to intercede and change the past and suggest that this kind of playing with a causal model has explicit value for historical thinking. You might want to go back and read those first two posts for context. I am jumping right in on the next part of the story here. After realizing that history had already been changed once before, the folks at Pastwatch, the organization that gets to tune into to literally watch the past unfold, have decided to change the past once again. Well for them it is the first time but you get the idea. 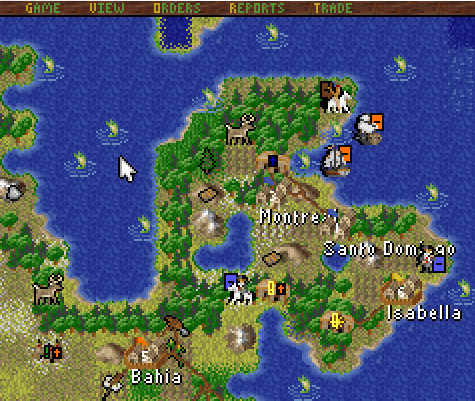 Screenshot from Colonization: The book manipulates a causal model much like Civ style games. The researchers of Pastwatch decide that they too should alter the past. What choice do they have? Humanity figured out how to coexist peacefully with each-other and the earth to late. Their attempts to fix our environment are not going to be sufficient to let civilization as we know it continue. So the people from our future figure out how to send three people back in time to try and create a better outcome. The people of Pastwatch hope that if they can meddle in just the right way they could create a better past which would lead to an alternate present which is both more humane and in which humanity is not facing cataclysmic environmental changes. In order to design their interventions into the past they must articulate a clear causal model for the course of the events they want to change. Advancing Technology and Changing Religious Practice: Hunahpu is sent back to help the Zapotec (a people near the Aztec) speed up advances in metallurgy and shipbuilding and to introduce a different set of beliefs that would dissuade them from human sacrifice. Slowing the Timeline: Kemel is sent back to sink Columbus’s ships. This will buy the indigenous peoples of the Americas time to make the technological advances they need to make. Changing Hearts: Diko is back to use her inside knowledge of Columbus to endear herself to him and convince him to see the the indigenous people of the Americas as equals. Inoculating the Past: Most importantly, each of the people Pastwatch sends back are carrying a virus that rapidly spreads and inoculates all of the indigenous peoples of the Americas against diseases like smallpox. In the end, Columbus and what remains of his crew work with the indigenous peoples to share European technology and build a fleet of ships which they sail back to Europe together to formalize relations between Europe and the Americas. 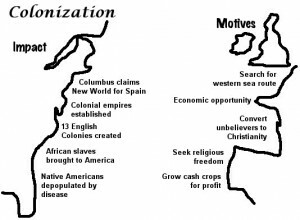 History Alive: Cause and Effect of European Colonization: An illustration from a history lesson on causes of Colonization. Pastwatch is a work of fiction. It includes a mixture of historical information and fake historical information. (The characters in the book have access to a technology that allows them to see what actually happened in the past. So, in the world of the book the characters have access to far more accurate historical information than we do.) In light of this fake history it is not a particularly good book for learning about the actual history of the Americas. It is however a great book for prompting us to play with, manipulate and explore the causal models of history that we carry with us. The decision to alter the past in an attempt to change the outcome asks the reader to entertain how they could change the results of their causal model of the interaction between Columbus and the peoples of the new world that the book has put forward. Each of the individuals Pastwatch sent back in time are attempting to address specific causal factors; disease, religious belief, technological development, and cultural norms. In the end, the reader is left with something that feels a bit like Card describing three different ways of playing a scenario in the game Civilization. While the factual content of the book is mixed, the way it invites readers to think about how they could alter the past extensively recruits and forces us to think through and revise our own causal models. In other words, if the kind of historical thinking we want people to develop is about marshaling evidence and arguing about the past than alternate history may well be a very viable tool for history education. If we think about history as the development of causal models of the past than the book, and alternate history more generally, has considerable pedagogical value. As an aside, Civilization actually makes an appearance in the text. In the acknowledgements Card offers; “A complaint to Sid Meier, for the game Civilization, which seriously interfered with my ability to concentrate on productive labor (but I recommend it to those who want to have the experience of altering history for themselves. )” Instead of interfering with work on the book it may well be that Civilization provided a framework for composing the the book.